Zoë Gardner has studied, researched, and taught production, conservation, quality, safety, and appropriate use of medicinal plants since 1998. After completing her undergraduate degree in environmental studies at the Audubon Expedition Institute, Zoë helped to establish the Medicinal Plant Program at the University of Massachusetts, earning her master’s degree there in plant and soil sciences. More recently, Zoë joined the Research & Development Department at Traditional Medicinals, a leading producer of herbal dietary supplements. Michael McGuffin has been active in the herbal industry since 1975, having owned and managed both retail and manufacturing businesses in this field. 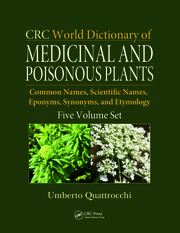 He is the managing editor of Botanical Safety Handbook, 1st edition (1997) and of Herbs of Commerce, 2nd edition (2000). He serves on the boards of the American Herbal Pharmacopoeia and United Plant Savers, on the Advisory Board of the USC School of Pharmacy Regulatory Science Program, and as chair of the U.S. Technical Advisory Group for ISO/TC 249—the International Organization for Standardization’s Technical Committee on Traditional Chinese Medicine. Michael maintains active involvement with regulatory agencies. He served on FDA’s Food Advisory Committee Working Group on Good Manufacturing Practices for Dietary Supplements, FDA’s Food Advisory Committee’s Dietary Supplements Subcommittee, and California’s Office of Environmental Health Hazard Analysis Food Warning Workgroup. 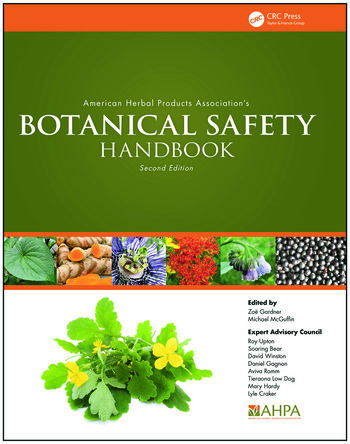 "AHPA’s Botanical Safety Handbook is, without a doubt, an extremely valuable reference book that is highly recommended to product manufacturers, healthcare practitioners, regulatory agencies, industrial and academic researchers, and herbal product consumers." "Whenever there are questions or compositional uncertainties about a material, the toxicologist’s brow becomes populated with beads of perspiration. However, in the case of quantifying toxicity and making a human health risk assessment for a botanical product or component the toxicologists can get help from the American Herbal Products Association’s Botanical Safety Handbook, Second Edition (BSH). The BSH is hefty by any objective measure such as dimensions, weight and content; it will likely be judged by its users as comprehensive. 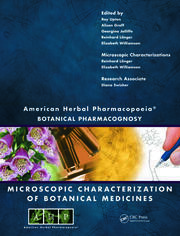 BSH covers over 500 herbs within almost 1,100 pages. BSH is a valuable resource for a toxicologist to understand the arena in which he or she is practicing their profession … using BSH gives valuable background information located in one place, reducing the literature searching time for obtaining background information on a botanical. … the BSH is a necessary reference in the personal library of toxicologists that routinely conduct hazard analyses and human health risk assessments of botanicals. Those toxicologists that assess the human health risks of botanicals will find a vast amount of generic background information that will supplement their activities. In addition, toxicologists will discover clear and valuable guidance and directions for making their human health risk assessments of botanicals." "… Although this edition covers approximately the same number of herbs as the first, expanded entries quadruple the number of pages. Records for medicinal herbs include summaries and reference lists, safety and interaction classifications, name variants, and plant partes) used. Inaccurate/unsubstantiated information often appears in publications providing safety evaluations of natural products. To increase the validity of this handbook, attempts were made to identify questionable reports as well as studies lacking sufficient details about formulations used; when included, limitations of such studies are noted. … This reference work will appeal to health care professionals, members of the public, and industry personnel interested in the safety and potential interactions of herbal products. Summing Up: Highly recommended. Graduate students and above; general readers. "I have long anticipated examining an upgraded second edition. I was pleased to find that the revised content included input from a highly qualified expert advisory council … The vastly expanded content provides safety information on more than 550 species of herbs and includes new herbs, many from the Ayurvedic tradition. … overall this book fills an essential niche by intelligently addressing specific practical issues in the broad context of botanical safety concerns. I certainly will be referring to it regularly." "Now, thanks to the recent publication of the new edition of the American Herbal Products Association’s (AHPA) Botanical Safety Handbook, no health professional needs to make an uninformed decision [on drug interactions with herbs] ever again. … The most exhaustive reference of its kind ever assembled, the AHPA Botanical Safety Handbook distills in one place hundreds of thousands of pages of scientific and medical information on herbs – the most widely employed class of health remedies in the world. Without question, the handbook answers the question, "Is it safe?" … With the AHPA Botanical Safety Handbook on hand, now every doctor, nurse, pharmacist, clinic and hospital can have readily on hand the definitive guide to recurring herbal questions." "...a very valuable reference for anyone selling, manufacturing or using medicinal herbs and perhaps will help clear the way for setting better legal and labeling standards of herbs." "A basic reference text which should be on every herbalist's shelf! . . . It is very complete and includes many Chinese and Ayurvedic herbs as well. Congratulations to AHPA on an excellent and much needed text. Thank you!" 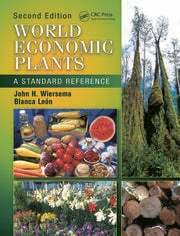 "An absolutely necessary reference book, this book gives cautions and contraindications for more than 600 plants. Don't expect fun reading-it is strictly a reference book. BUY IT!" "The Handbook is a very readable and authoritative reference for herbal products, their usage, toxicity, and contraindications." "This book represents a significant revision and expansion of the first edition… [it is] a very important, extraordinarily detailed compilation of safety data on botanicals used in human health products. It will be an excellent resource for pharmacists and other healthcare professionals, academicians, researchers, regulators, consumers, and even marketers and advertisers. Every school of pharmacy, medicine, and nursing should have a copy in its library."